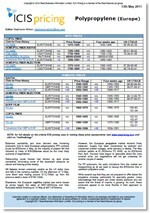 The Toluene markets are covered by ICIS weekly in Asia, Europe and the US. 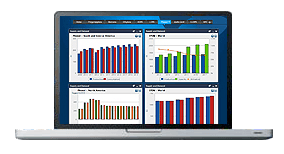 This reliable and trustworthy tool allows you to stay up-to-date with news and analysis and gives you the confidence to make vital commercial decisions. Price assessments cover spot activity over the week as well as at close of business in the day, and contract prices are also published in Europe. This market intelligence is compiled by our locally-based reporters and commentary includes news on deals taking place, feedstock movements, demand and supply trends, outlooks, regional focus as well as graphs. Supply was sufficient in northeast Asia to the end of February because of limited turnarounds in northeast Asia and poor spreads for benzene production. However, availability decreased in March because of some turnarounds which started in South Korea. Southeast Asian stocks were limited from some producers because of poor production spreads and turnarounds towards the end of the first quarter. Demand from China was strong in January and February due to pre-Lunar New Year stocking up activity, with distributor margins positive. However, an inventory build-up in end-February put a halt to March purchases and slowed down the market overall. Southeast Asian demand was late and mostly seen only in March because of positive gasoline blending economics and a pick up in solvent demand before Ramadan. Indian demand kept mostly steady due to unchanged demand requirements. European toluene supply was restricted in early 2019, thanks to a fire at Versalis’ Italian refinery in January and force majeure at Galp’s Porto plant in Portugal after its longer-than-expected maintenance in Q4 2018. Overseas demand, including from India, was noted in early February although exporter feedback indicated lower numbers in other regions, such as Korea and Dubai, had put a dampener on exports. Late March saw an improvement in supply following revived output from the two Mediterranean plants. Chemical demand for toluene was boosted as BASF’s major toluene diisocyanate (TDI) plant restarted in 2019 after its late 2018 shutdown. North American refineries’ turnarounds ahead of the summer driving season were eyed as potentially boosting toluene demand. Intercontinental Terminals Company’s (ITC) Houston tank fire cooled interest in testing the EU-US arbitrage in March. Demand from benzene – made with toluene via the hydrodealkylation (HDA) process – was limited. The spread with toluene had been in negative territory, at times near -$200/tonne, for nearly a year. US toluene supply tightened in the first quarter during refinery maintenance season. A number of major refiners conducted routine maintenance and major overhauls ahead of the spring and summer gasoline seasons as well as the upcoming International Maritime Organization’s (IMO) new regulations on bunker fuels in 2020. A lack of imports and weather-related issues along Mississippi river waterways and in the US Gulf exacerbated the issue. US toluene demand decreased in the first quarter during refinery maintenance season. Demand for octane-enhancing aromatics is typically weakest in the colder winter months in place of cheaper alternatives such as butane. Demand for toluene in the chemical sector also decreased amid sustained negative margins for on-purpose benzene production. Benzene demand was weaker amid a downstream styrene turnaround and anticipated new capacity in China. We offer the following regional Toluene analysis and news coverage to keep you informed of factors and developments affecting prices in the Toluene marketplace. Breaking news of latest developments affecting the markets.Insight and analysis of factors driving prices. Over 25 years of reporting on key chemicals markets, including Toluene, has brought global recognition of our methodology as being unbiased, authoritative and rigorous in preserving our editorial integrity. Our global network of reporters in Houston, London, Singapore, Shanghai, Guangzhou, Mumbai, Perth and Moscow ensures unrivalled coverage of established and emerging markets. 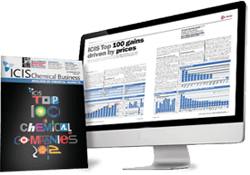 ICIS pricing quotes toluene in Europe, Asia-Pacific, China and the US Gulf. Toluene is a colourless, mobile liquid with a characteristic sweet, pungent, benzene-like odour. It is an irritant to the eyes, skin, nose and lungs. Toluene is a dangerous fire hazard and can lead to a flashback due to its heavy vapour. The main chemical use of toluene is to make benzene and xylenes using a number of technologies. Toluene is also used in solvent applications and is consumed in the manufacture of toluene diisocyanate (TDI) which is used in the manufacture of polyurethane foams. Smaller uses for TDI include polyurethane elastomers and coatings. Other minor chemical uses include the manufacture of phenol, caprolactam, nitrobenzene, benzoic acid and benzyl chloride. In non-chemical uses, toluene is used in large quantities as an octane booster in gasoline but most of that portion remains in the refinery streams. There are three grades of toluene: TDI grade of 99+% purity; nitration grade at 98.5-100%. The original source of toluene from coke-oven gas has been replaced by the catalytic reforming of naphthas and from pyrolysis gasoline co-produced in the steam cracking of liquid feedstocks. A very small amount is still produced from light oil formed by the carbonisation of coal.